I have a fascination with the Spyderco Ladybug series, and Spyderco keeps bringing out new variations to add to my collection. This tan version in H1 was an exclusive for CountyComm that came out a few years ago. I finally found the right Victorinox Classic SD to mate it to. This combo rides in my watchpocket and fulfill all my ‘tool’ needs in everyday life. The Ladybug is both a back-up knife or when I want to demonstrate the value of a good knife to a nervous non-knife person. 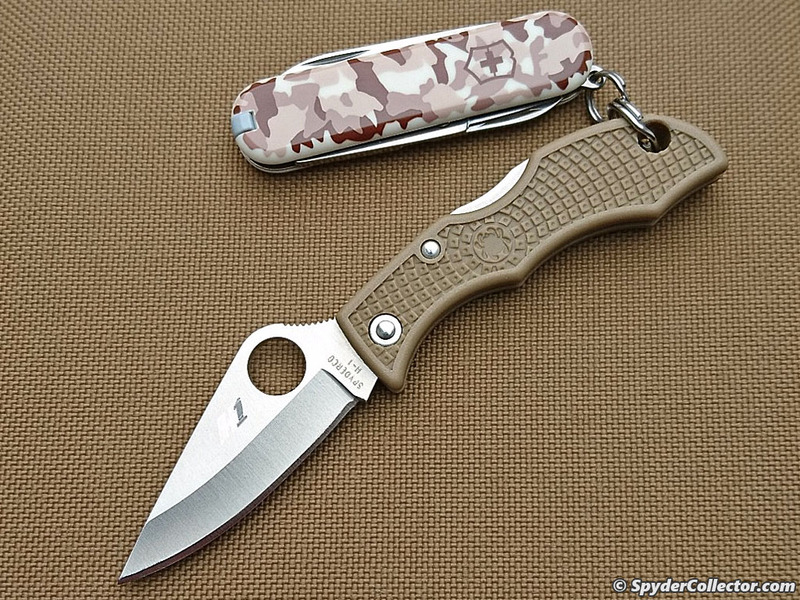 This particular combo will make a nice summer carry companion! This entry was posted on Friday, April 27th, 2018 at 1:16 pm and is filed under Collectibles, News. You can follow any responses to this entry through the RSS 2.0 feed. You can leave a response, or trackback from your own site.